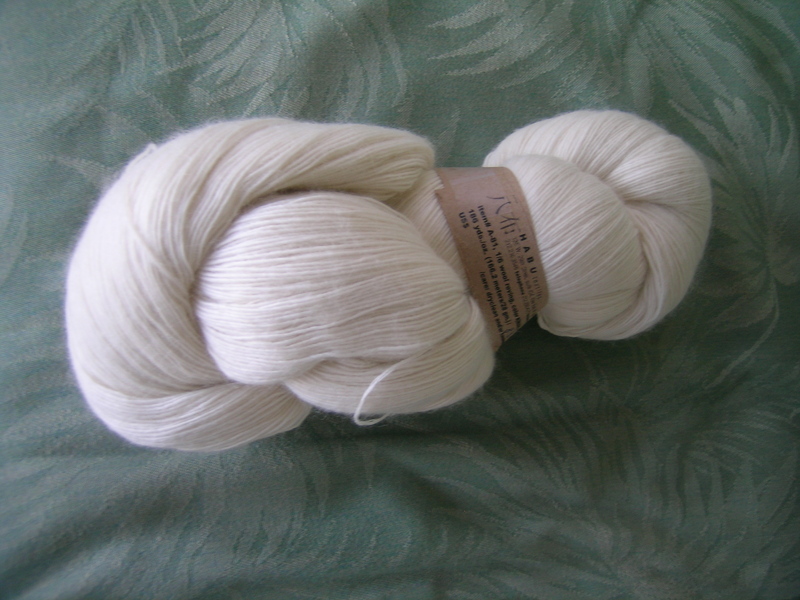 This beautiful natural merino lace from Habu Textiles was in the order that I received earlier this week. I need a new shawl, and have been looking at one’s in Nancy Bush’s Lace Knitting from Estonia. Looks like Spring is near. It keeps flirting with us, and the last 2 days have been cold, windy and generally yucky. The sun is out today, and it is suppose to be a beautiful day tomorrow. I can’t wait to be able to sit on the enclosed front porch again and knit, read, relax. I always feel like my house has gotten bigger when the weather gets nice. 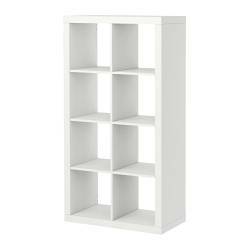 I went to IKEA (I know, I know, but I needed something cheap) today to get some shelving units for the basement. I don’t want to put a lot of money there at this point in time, but need to clean up the space and simplify everything. At the moment, most of the things are rejects from the first floor. Some are very nice, but cohesiveness is lacking. Now that most of the main level is complete, I need to focus down there. Not to mention the fact that with the TV in the family room being the only one that we connected to cable (finally got it after all these years), we are down there much more. It has been bothering me since. I chose the Expedit cabinets, and think that I will have my carpenter build recessed bases for them when he is doing other work this spring. That will give them a built-in look. They will be placed on their sides, and the wall color will be visible at the back. I brought 2 home with me, and almost had to return the second, as they did not fit easily into my car. I will post photos later of how they worked out. Ha ha! We’ve won you over to the dark side!!! But, isn’t my lace wool yarn nice? Andre should run for office. If he can get you into IKEA, he can talk anybody into anything. Progress on my Zebra toddler dress. I love this! Almost makes me want to have another baby. Almost. You are right. That time was a bit of a fog. 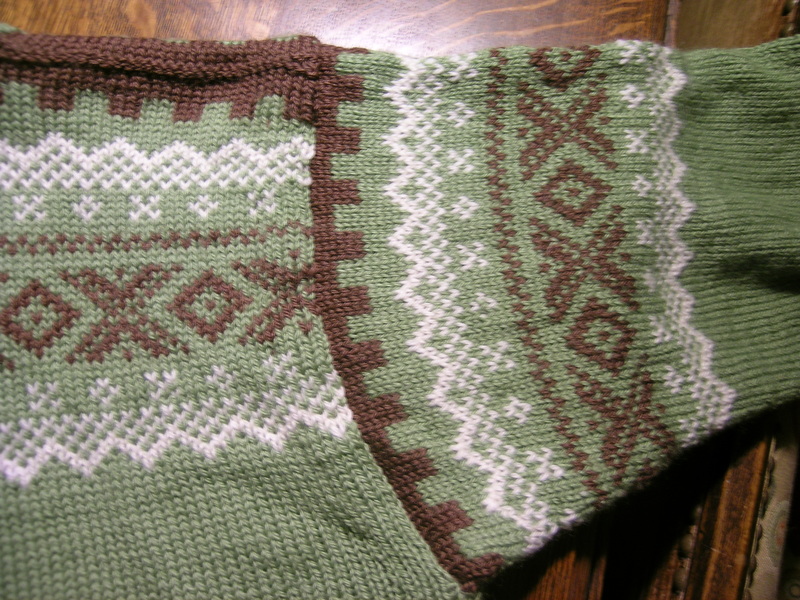 I will save this pattern to reknit for a granddaughter some day. 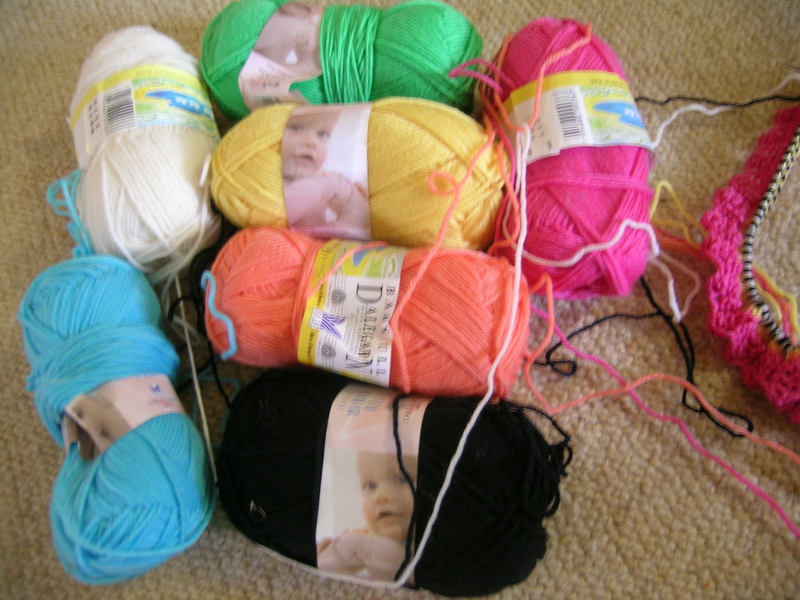 My yarn arrived yesterday so that I can finish the DON toddler dress. Obviously, more than just for this project. couldn’t resist a good bargain on baby Ull. And, I finalized the color choices for the dress. I opted to substitute the beautiful new tangerine color that came in my package for the suggested red. My turquoise is a bit subtler, and my green a bit brighter. I also finally decided with these colors that the off-white looked the best for the zebra stripes. We went to the PING! fundraiser last night, and the music was from all over the world. Very fun. My baby sweater sold, not for as much as I would have liked, but to the Treasurer of the organization who has worked on this board for years, and cleaned up my bookkeeping nightmare that I gave her. She has 2 new grand-babies, so I hope to see a photo in a couple of years of them wearing it. 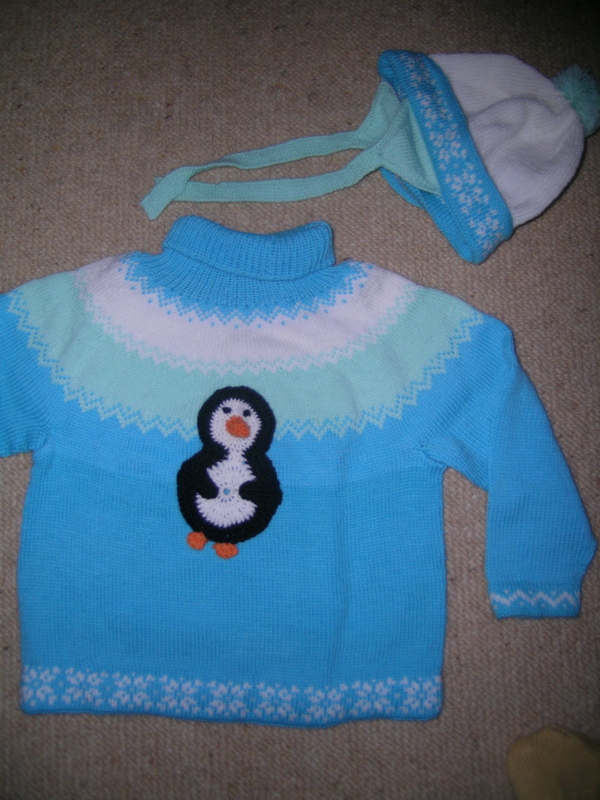 I donated this baby sweater and hat to a silent auction as a fund-raiser for PING! PING! is an organization that I started over 10 years ago with a few dear friends. Our children all played musical instruments in the Elementary and Junior High bands and orchestras. This town has an amazing instrumental music program, that is constantly nationally recognized, and the former director was the recipient of the first Mr. Holland grant (set-up after the movie). We all realized that finances were a barrier to participation in the program for many of the kids. This program loans instruments to needy children in the community. It grew from 7 kids the first year to a 147 this year! Hundreds of children have benefited, and a few gone on to study music. I have started a new project, perfect for spring. Small, bright and fun. I am making the baby dress shown here. I think that this is so adorable. I love making baby items to keep for future gifts. And, I narrowed it down to these, maybe minus the purple. The pattern calls for an off-white for the zebra stripes. I chose the bright white, but can change that when I get to that point. Are zebra stripes bright white? I think that it looks better with the other bright colors. It also called for “tomato red”, and as you can see above, I have 3 different reds. One is tending towards a burgundy color, so I picked the brighter of the remaining 2. I also have a tangerine color coming in my package, and think that I might substitute that. 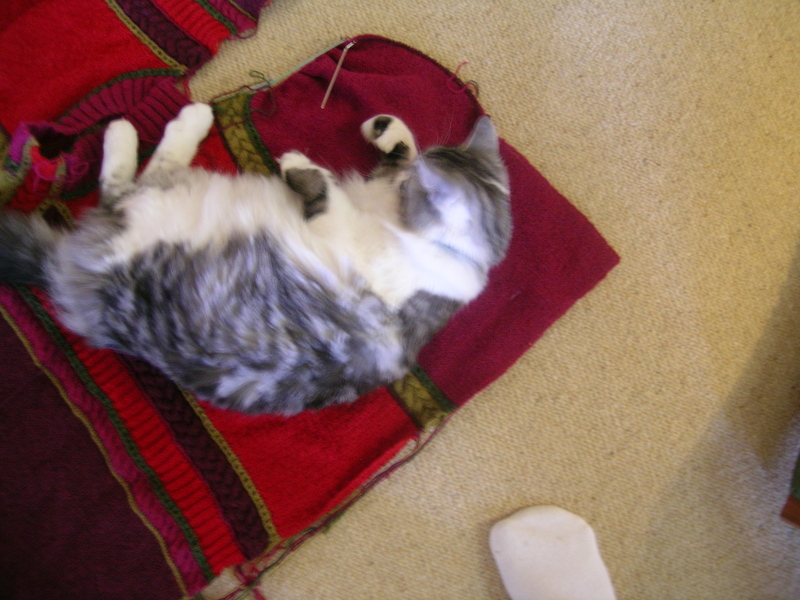 If I decide to make the sweater, it could be the bright pink and tangerine stripes. Of course, I did not have enough of the yellow color for the body. I found it on sale, and ordered it on Monday (along with lots of other goodies that I can’t wait to get). It took until Wednesday to ship, and they sent me the tracking link. I keep hoping that it will make it here sooner than the 23rd, but that does not look to be the case. I should just stop checking and wait. I don’t know what it is about a new project that it so exciting. 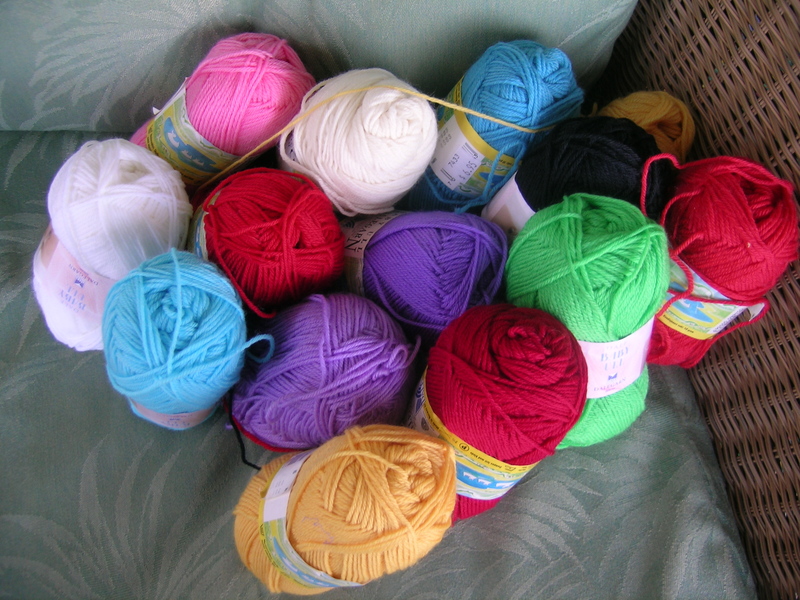 On Tuesday I went to my first meeting of The Windy City Knitters Guild. This group has been around for years. They meet once a month on the north west side of Chicago. I have been wanting to go, and a friend from our local SnB group convinced me. They also sponsor great classes apart from the guild meetings. There were some amazing knitters there. I had not gone previously, as it was too difficult when Ethan and Sofia were in school. Now that they are both at college, I se no reason why I should miss many meetings. I am definitely going to join. In the past they have offered classes that I had paid much more for at Stitches. So, sitting at the meeting, I started the baby dress. Cast on 336 stitches, and knit the first round (almost). This is a difficult first round, as there are K3tog every 6th stitch. That is a bit tedious with a new cast on row. So, I got to the end, and found a mistake at the beginning. 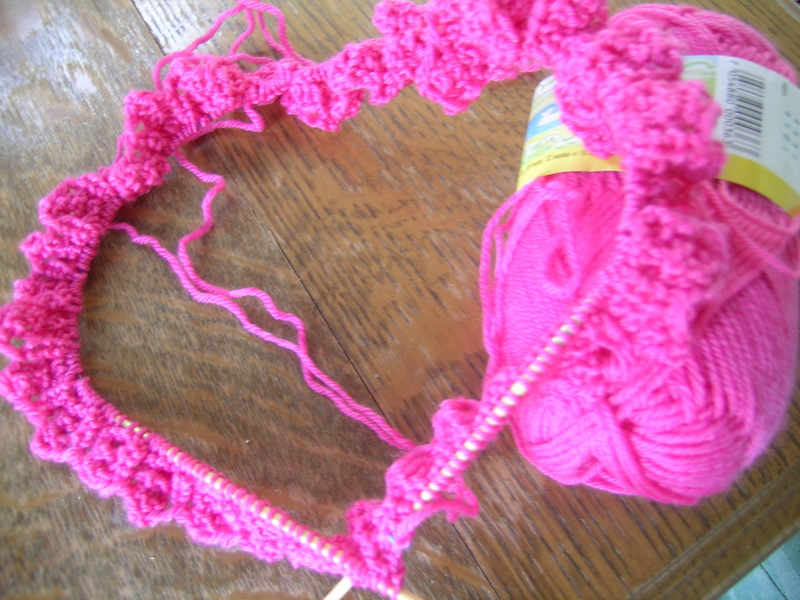 No saving that row, so I cast on 336 stitches again (a tad looser this time), and focused on my counting better. 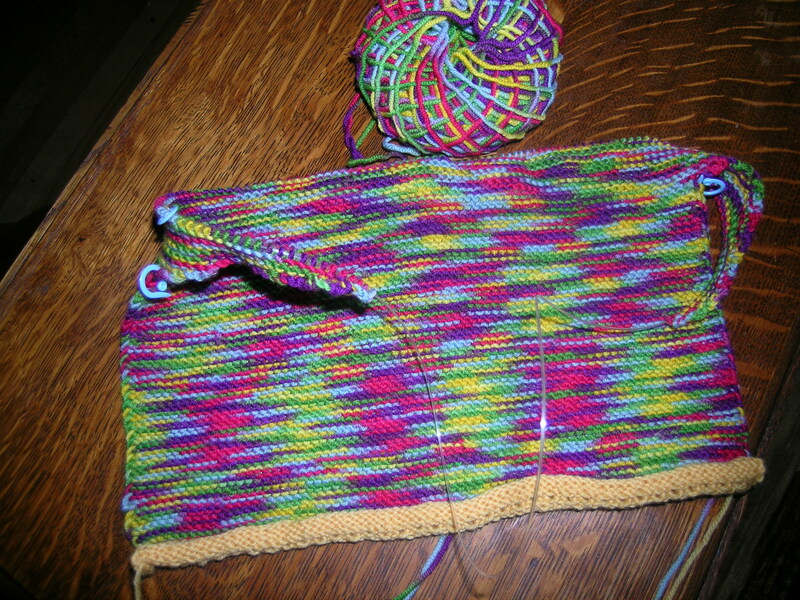 I came home and finished the banding, now just waiting for the yellow yarn. 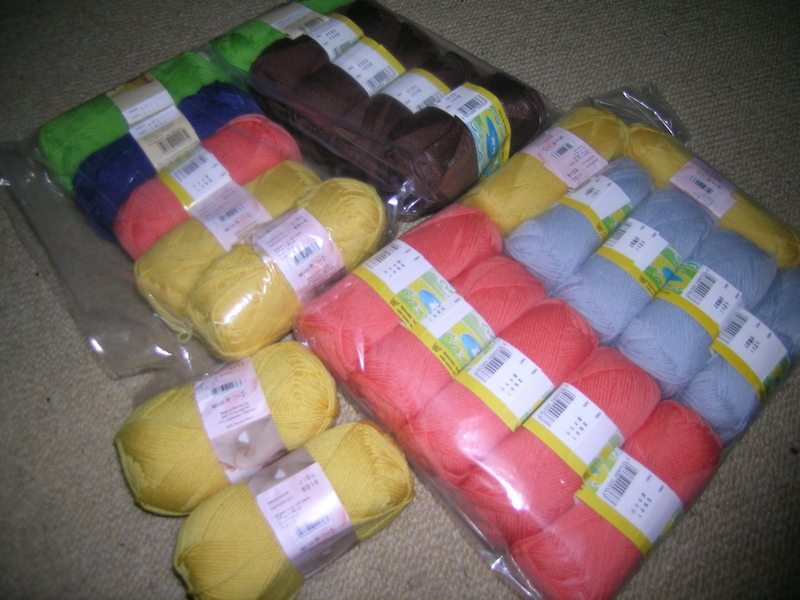 The yellow yarn that I have in stock is a bit off the body color, and I know that it would bug me later, so I am just sitting, waiting, and checking my tracking number. 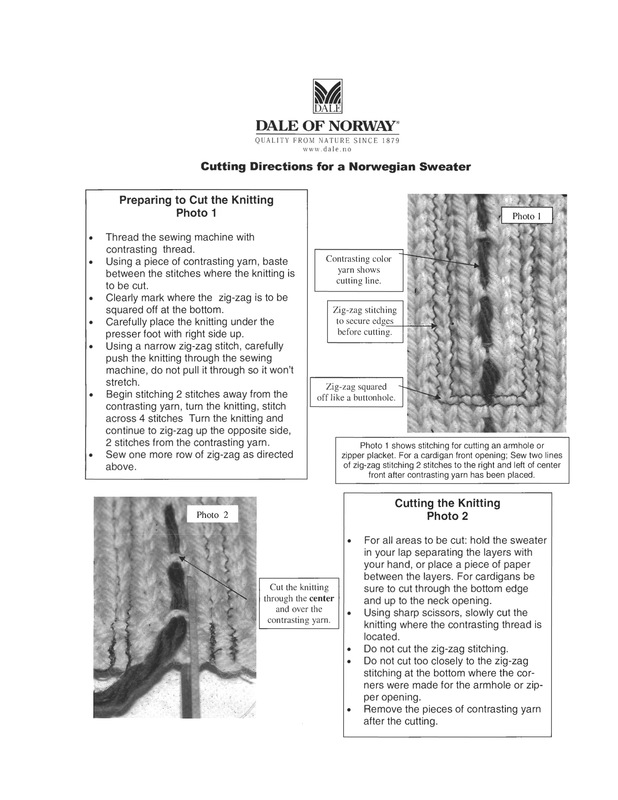 I found these instructions online, published by Dale of Norway. This is the best description that I have seen. The only difference that I do, is when I am starting during the sleeve area, I take a contrast color of yarn (usually a cotton so it will glide out easily), and have a long string attached to a stitch marker. 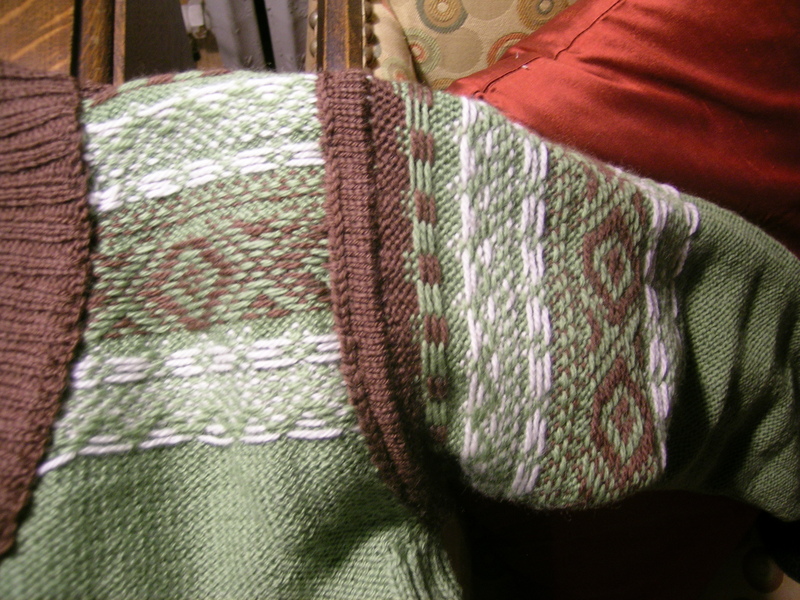 I then let the tread be woven into the sweater as I knit it. 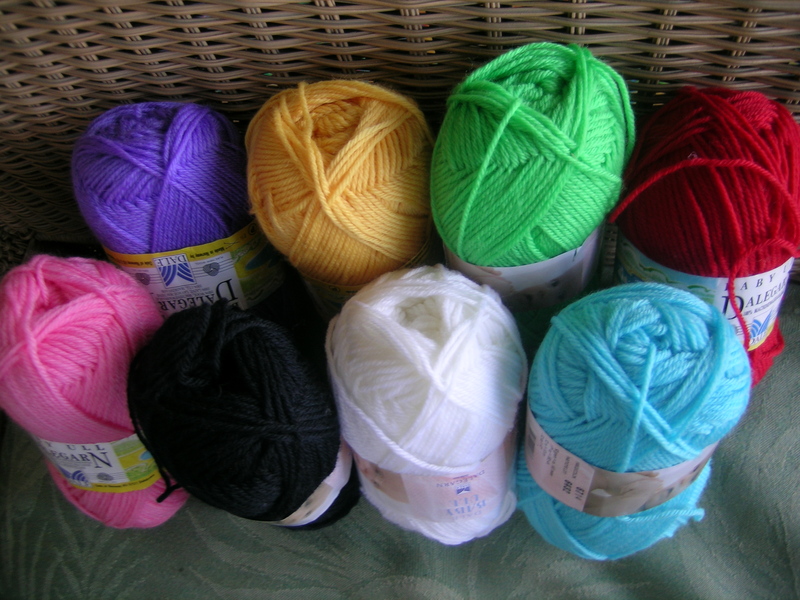 Saves going back and trying to find those center stitches, especially on a dark yarn, or very fine gauge. 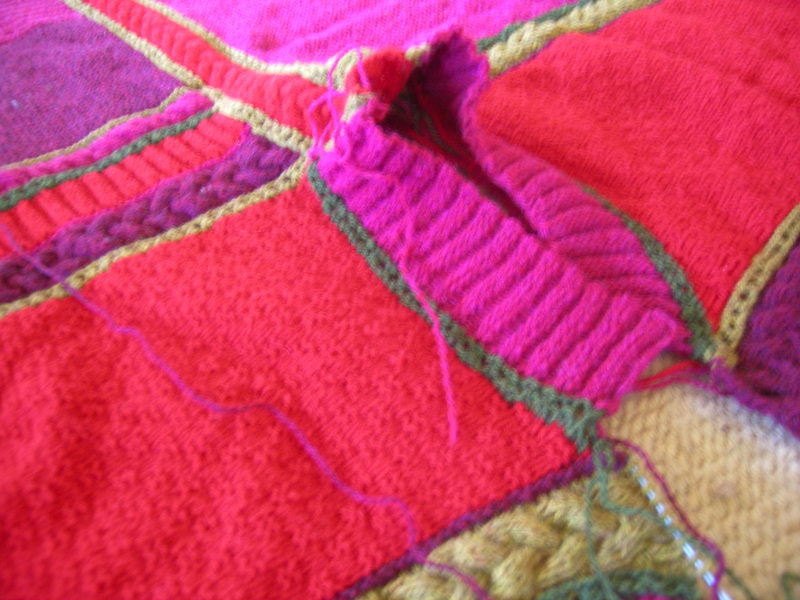 I also have traditionally done 2 rows of straight stitch. 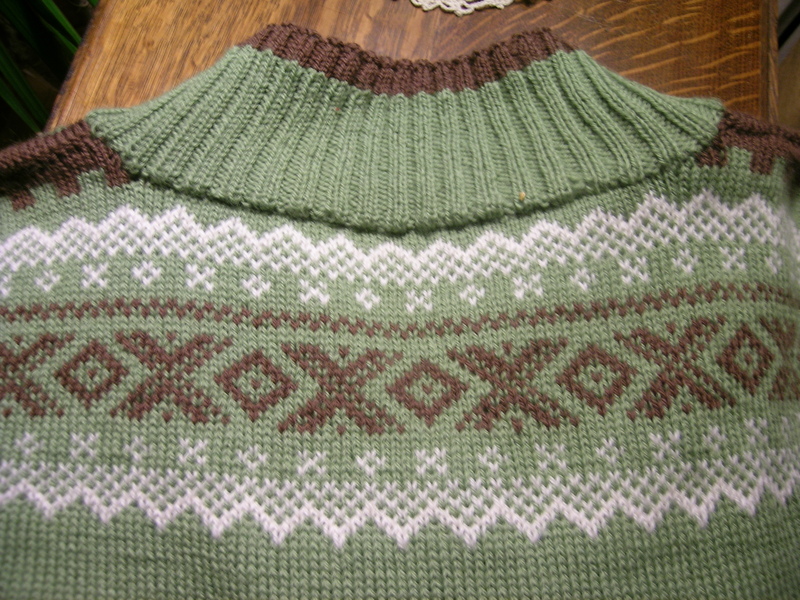 I think that the next sweater, I will do the outer rows in straight stitch, and the second sewn row in a tight zig-zag. I often find that I can remove the contrasting yarn at the center once the contrasting color rows have been sewn, easier to cut that way. 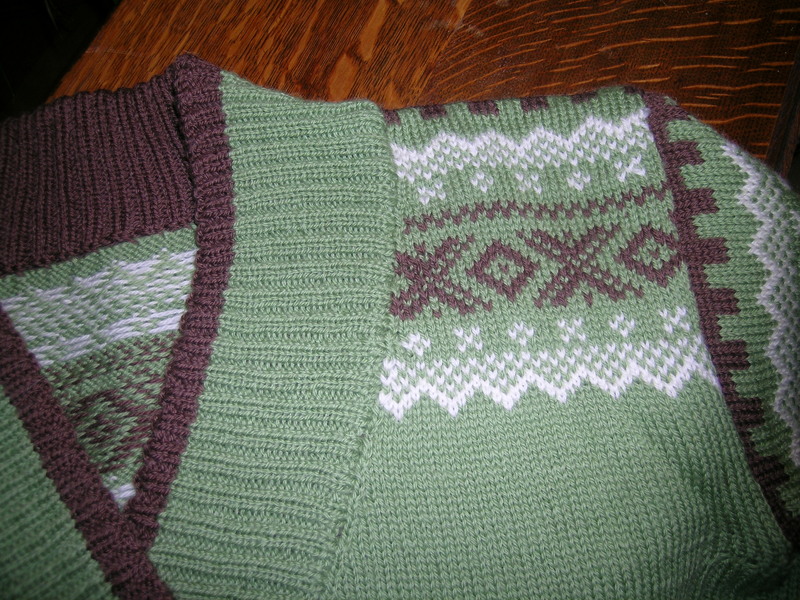 Here is the post of my Ravelypics sweater. I finished it in 16 days. It then sat for a week before it was washed and blocked. I was so bored by the color and looking at it. 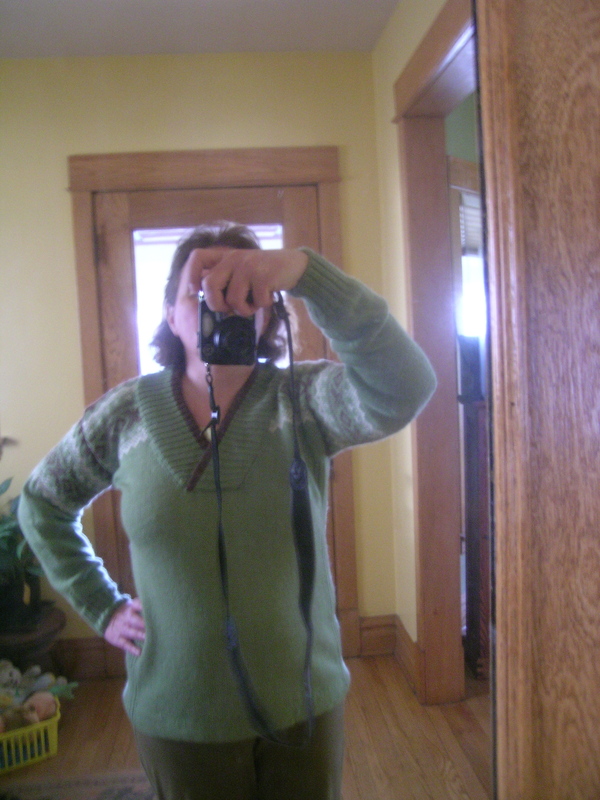 I did wear it on Monday, and love the weight and the neckline. It is comfortable for indoor wear. I got tired of posting my Dale of Norway sweater. The green and brown is now boring me. 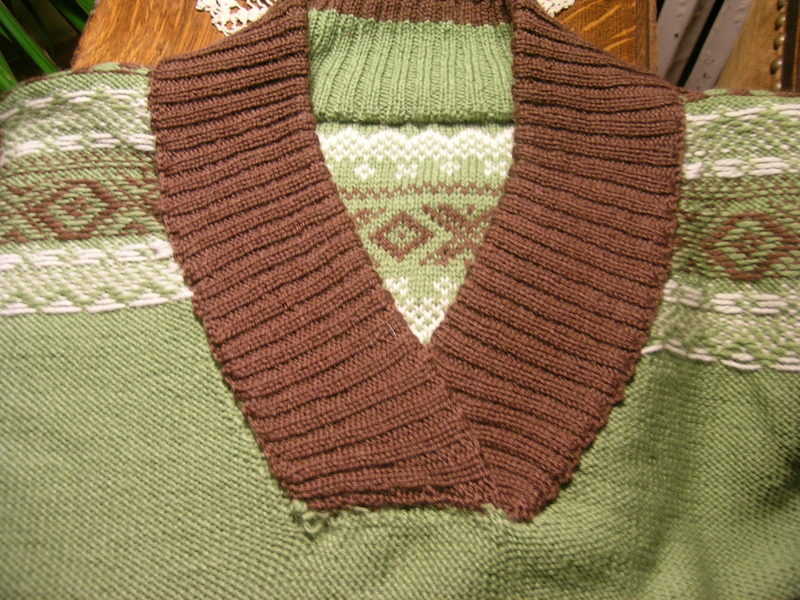 I finally washed it and blocked it over the weekend, and it is almost dry, then I will take some more finished photos. I decided that I needed a little color, and there is a fundraiser that I wanted to make something for. I have learned that socks do not do well at a silent auction. Nobody is willing to pay for the effort. But, a baby sweater is always a hit. 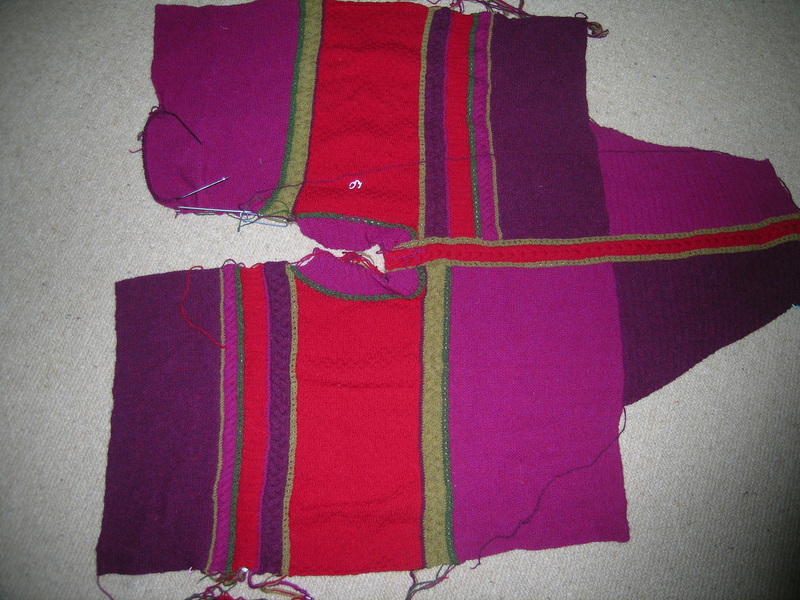 I am making another Baby Kimono from the Dale of Norway pattern. This is made with some yarn from my stash, Zarina by Filatura DiCrosa, a superwash bayby meriono. I chose a yellow Baby Ull to do the edging. Seems like there is enough color in this yarn by itself. 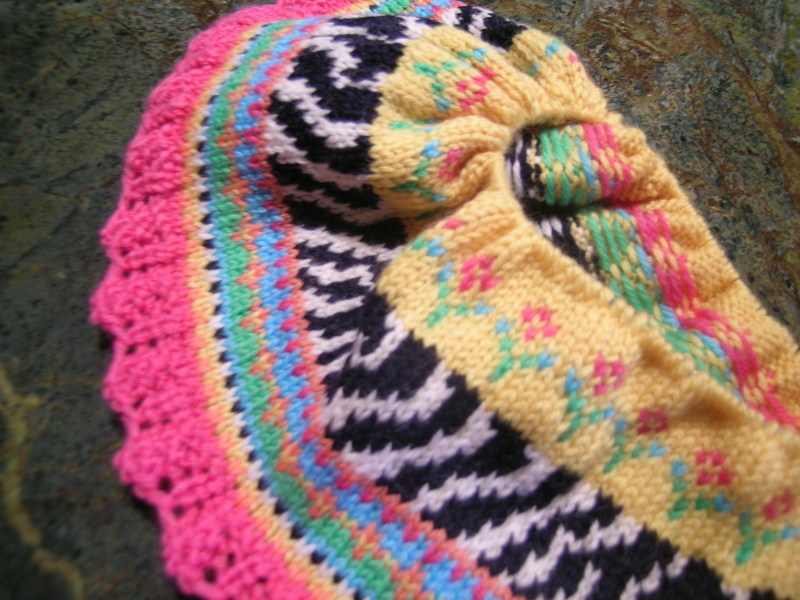 I am giong to try to make baby booties, and a hat to go with it. Just started yesterday, the progress is very good. Watch this video. This is knitting as a performance art. I thought my stranded knitting was a lot of work! Bet she didn’t do a test swatch first! It seemed like a really daft idea, but actually it looked beautiful – very hard work though. Thanks for the pointer. You made me laugh. I can’t believe that her strands did not get tangled!